Coastal marsh in Acadia National Park, Maine. If you are planning a vacation to Bar Harbor Maine or nearby Acadia National Park, there are literally dozens of fun activities for you to enjoy. Here are some fun things to do in and around Bar Harbor Maine. Most hikes in Acadia N.P. are rated at the "easy" or "intermediate" level. A few of the hikes in Acadia National Park are considered "challenging" and should only be attempted by prepared, seasoned hikers. 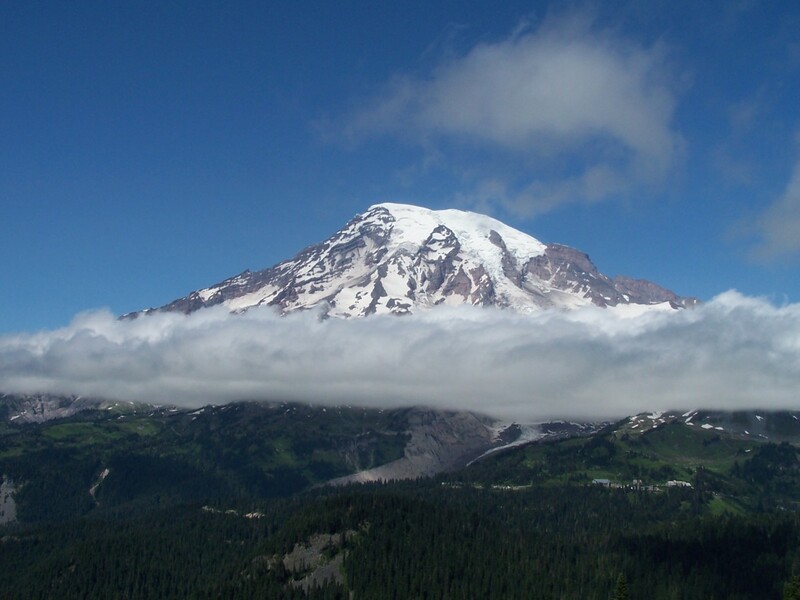 Hikers should always be careful and take an adequate supply of water, a hat and sunscreen. Dressing in "layers" is highly recommended. Don't forget to carry a map, compass and some means of signaling for help as well. (Cell phones do not work in many areas of the park.) In the fall and spring, temperatures can swing from 70 degrees Fahrenheit to well below freezing in only a couple of hours. 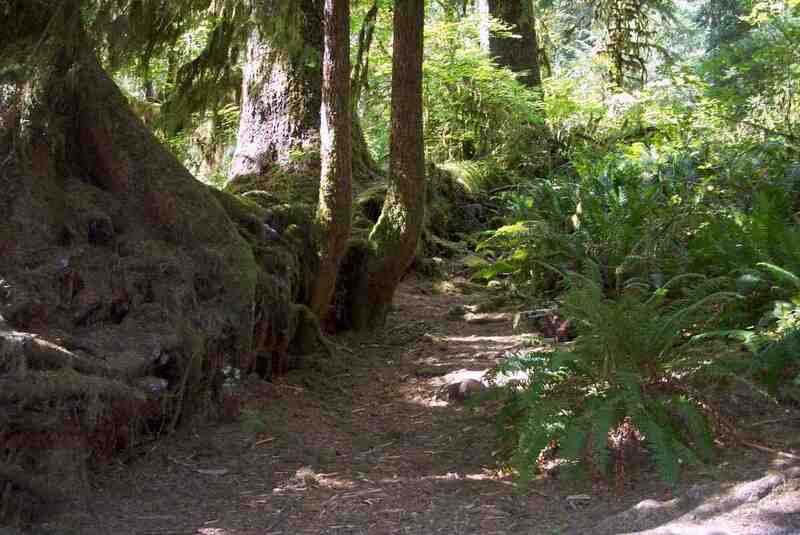 Make sure to carefully plan your hike so that you are off of the trail and back at your campsite by dark. Another fun activity in Bar Harbor Maine is to take a wildlife watching or sunset cruise. Several fine tour operators operate out of the port at Bar Harbor. Expect to pay anywhere from $30 to $80 per person or more for a wildlife watching cruise. Tour boats are a great way to explore the coastline of Acadia National Park. On our recent visit we took one of these cruises and saw bald eagles, seals, harbor dolphins and osprey. Tour guides often include former lobster-men, fishermen or naturalists, who have in - depth knowledge of the flora and fauna of the sea surrounding Mount Desert Island and Acadia National Park. In our case, our guide was a former marine biologist, who explained how conservation methods implemented years ago had restored the lobster population around Bar Harbor. Below is a photo of a young eagle that we shot during the harbor cruise. 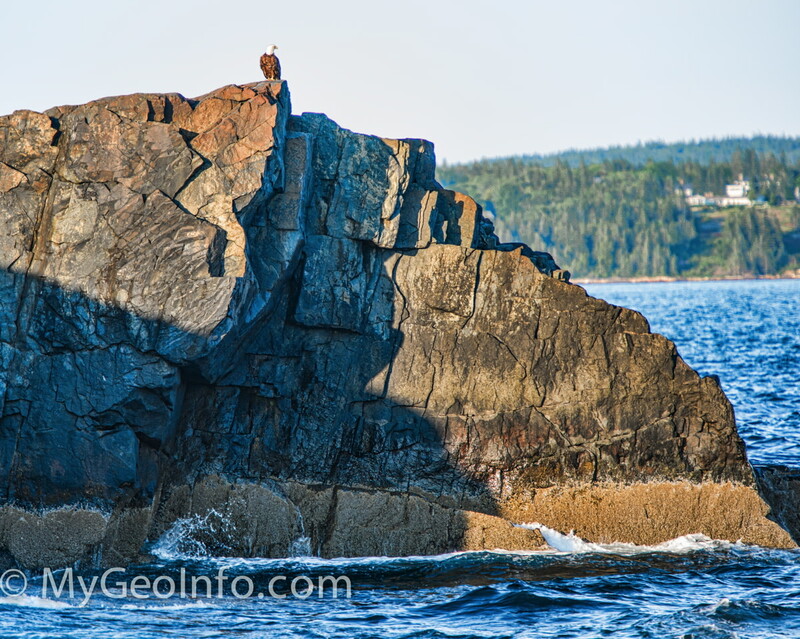 Photo of young bald eagle, taken on nature cruise of Bar Harbor and Acadia National Park seashore. 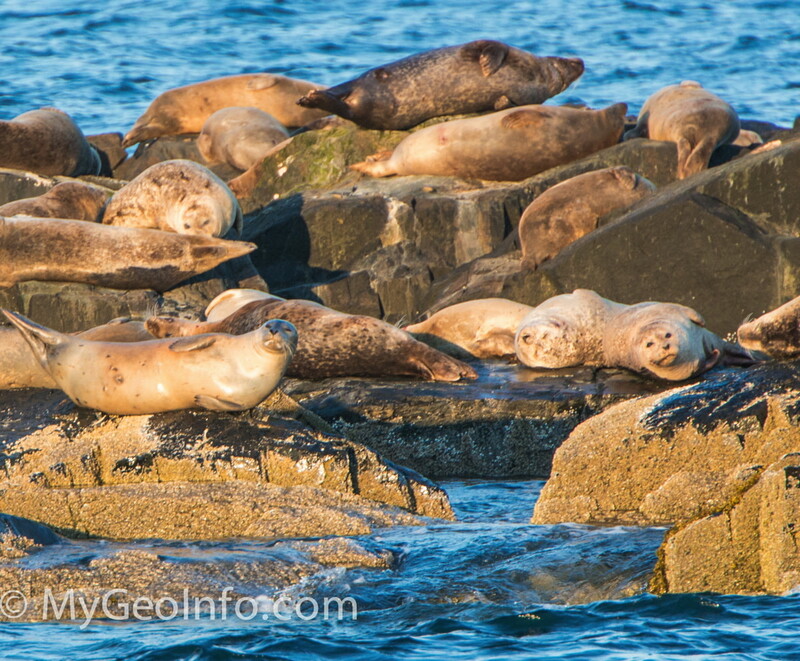 Just offshore from Bar Harbor Maine, on a series of low lying rocks near the lighthouse, a large colony of seals resides year round. A nature cruise or whale watching tour is a great way to see wildlife such as this along the Acadia National Park coastline. Seals on the rocks near Bar Harbor and Acadia National Park. When most people think of the Maine coast, beaches probably don't come to mind. You'll be surprised to find some of the nicest sand beaches anywhere on the Atlantic coast, right inside Acadia National Park. The beach in the photo below is located just a few minutes drive from Bar Harbor, though the free shuttle system is a much better way to get there. The folks at L.L. Bean have donated millions of dollars to the Island Explorer bus system, which will stop and pick you up almost anywhere in the park. 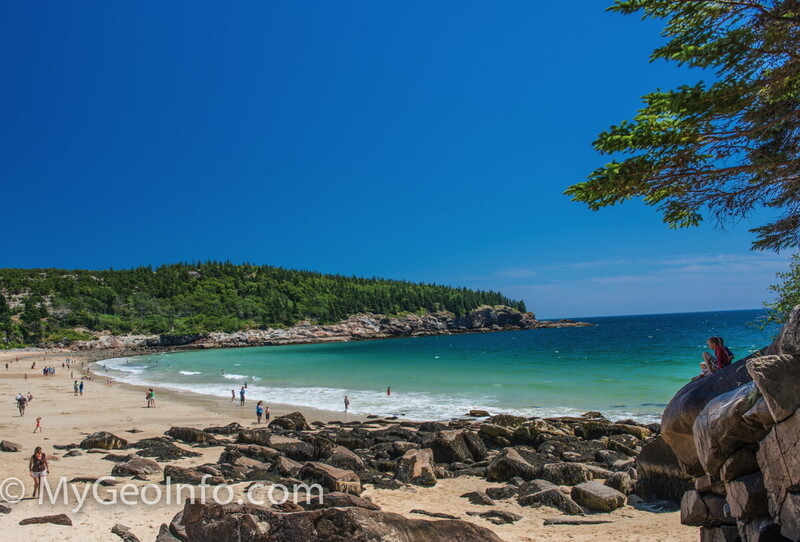 A beautiful Maine beach in Acadia National Park, near Bar Harbor. At low tide you can sometimes find small crabs and other marine life in the tidal pools along the shore of Acadia National Park. 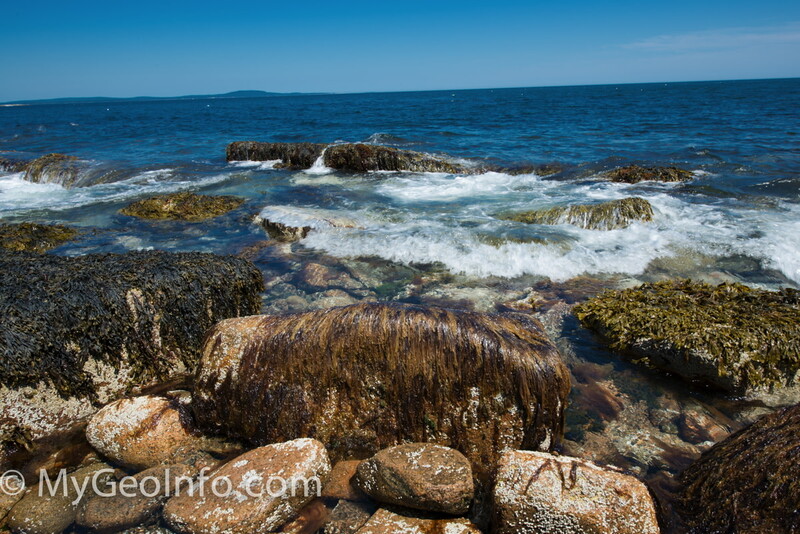 Seaweed and tidal pools in Acadia National Park, Bar Harbor Maine. Shopping: In Bar Harbor there are dozens of cute little shops, featuring everything from trendy clothes to antiques and gift items. Coffee Shops and Restaurants: You'll find locally owned coffee shops, gourmet restaurants and of course the ever present "lobster pound" or lobster restaurant around the Bar Harbor area. Don't leave without having a lobster roll and a local microbrew! Flights Over Acadia: Just up the road from Bar Harbor, at the regional airport, you'll be able to hop onboard a vintage fixed wing airplane for a flight over Acadia Nationall Park. While these tours aren't for "penny pinchers," they are worth it for the sights you'll see. 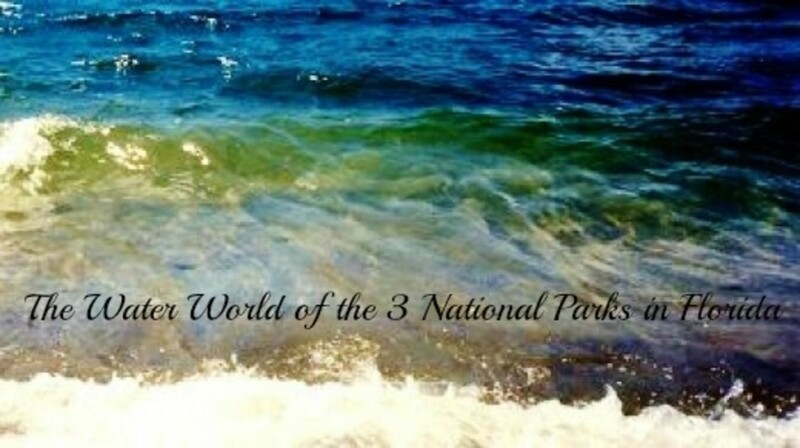 Naturalist Led Tours In Acadia N.P: Acadia National Park offers several naturalist and ranger - led tours to showcase some of the interesting geology, flora, fauna and history of the park. Go to the Acadia Park visitor's center for more information. Biking In Acadia National Park: There are many miles of roads which are perfect for bicycle riding in the area. The Island Explorer bus service offers a "Bicycle Express" which can take tired cyclists from one side of Mount Desert island to the other. Canoeing Or Kayaking: There are several good paddle sports operators in Bar Harbor who can fix you up with the right canoe or kayak to suit your abilities. A canoe or sea kayak is a great way to see some of the offshore islands around Bar Harbor. Guided tours depart from the harbor area daily. 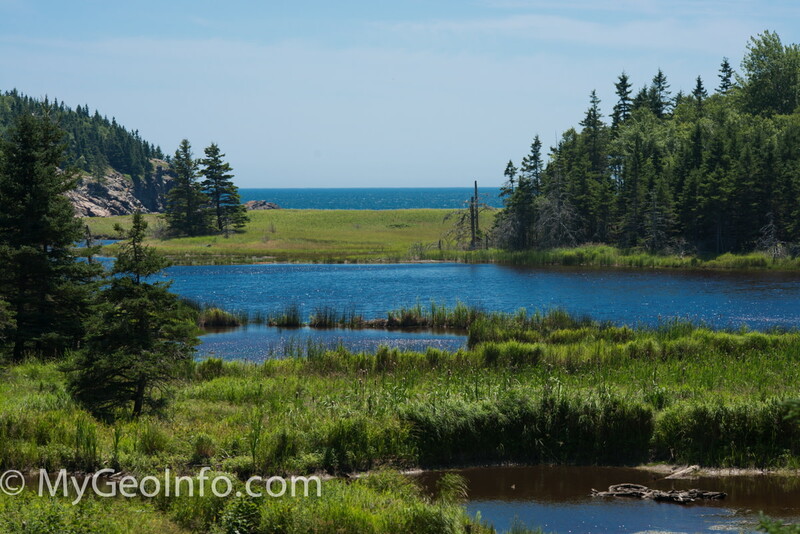 Camping In Acadia National Park: One of the best ways to experience the tranquility and beauty of Mount Desert Island and Acadia National Park is to spend the night in a campsite under the stars. There are several first rate campgrounds in Acadia. 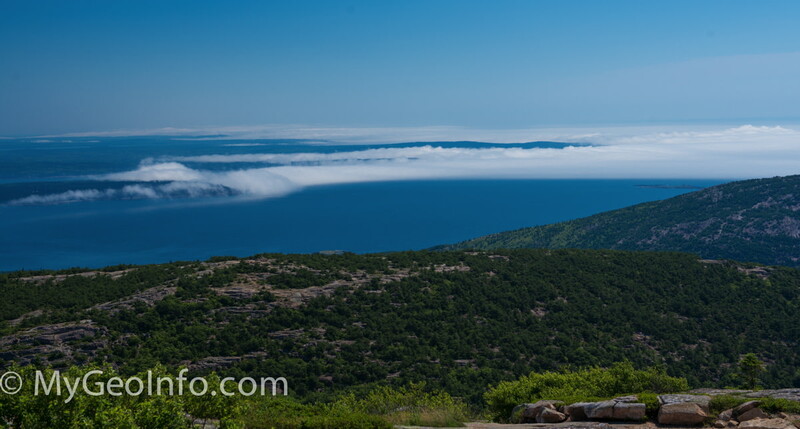 Those in the southern side of Acadia are much less crowded in the peak season. These are just a few of the many fun things to do near Bar Harbor. Be sure to stop by the visitor's center in town for more fun activities.